Webopedia defines hyperconvergence as follows: “Hyper-convergence (or hyperconvergence) is a type of infrastructure system that is largely software-defined with tightly-integrated compute, storage, networking and virtualization resources. This stands in contrast to a traditional converged infrastructure, where each of these resources is typically handled by a discrete component that serves a singular purpose. Hyper-convergence is also called hyper-converged infrastructure. 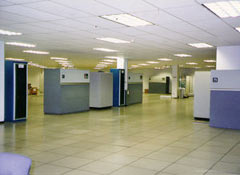 To use as a tool to find the best Data Center Relocation / Migration services at competitive prices. Why move from your existing data center?